How can we create a world where no youth are locked up? Thank you to everyone who submitted their art for the Youth Art Month Competition! We received paintings, poems, stories, songs, and drawings from students across Kansas. Congratulations to our winners who will receive the cash prize for their respective age category. Below are the winning art pieces and a short biography of the winning artists. To learn more about juvenile justice reform in Kansas, please visit www.kansansunitedforyouthjustice.org. Michelle is a 20-year-old undergraduate studying at Kansas State University. Her piece, “Please Don’t Shoot, I’m Only 12”, focuses on social justice, the Black Lives Matter movement, and was inspired in part by the Tamir Rice shooting. She believes that the justice system needs to learn to see our youth as not just another problem to be dealt with, but as the leaders of tomorrow. Mira is a 15-year-old student at Lawrence High School. 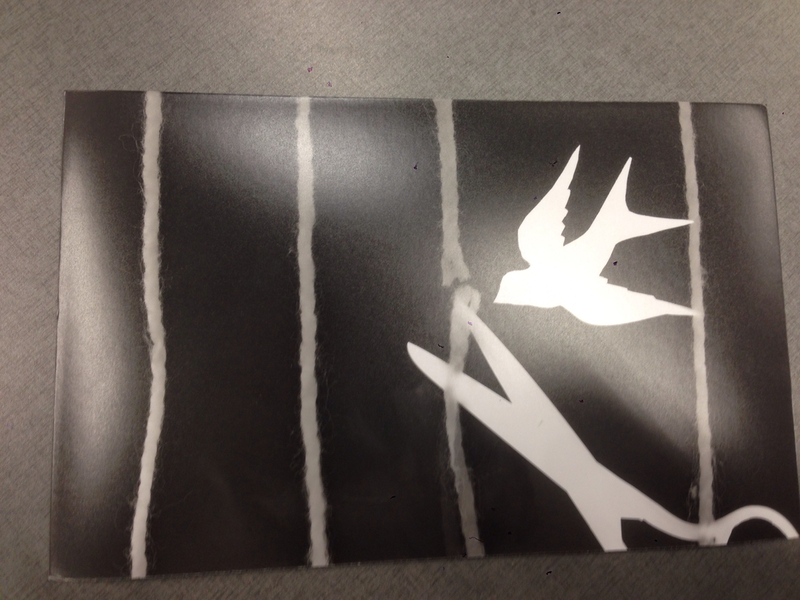 Her photograph shows bars being cut and a bird flying, representing the way we can create a free and safe environment for youth so they can live up to their full potential. She is interested in photography, learning new languages, and traveling whenever she can. Mira is passionate about equal rights and she attended the women's march in Kansas City. She was motivated to submit her art work while working as an apprentice artist at Van Go, an arts-based after school program in Lawrence. Kate is an 11-year-old finishing 5th grade at Elmont Elementary School in the Seaman School District in Topeka. Her favorite subjects are math and lunch. Her hobbies include playing the saxophone, softball, and creating comic books. 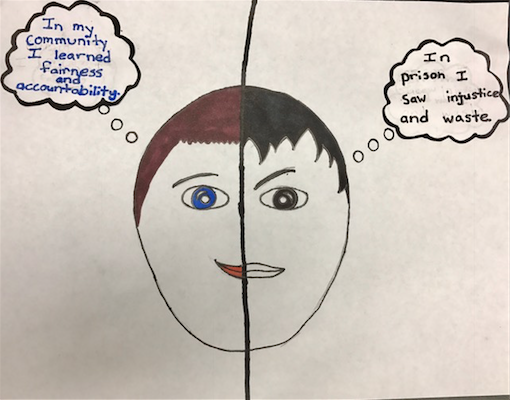 ​Her love of comic books inspired her to draw the two sides of juvenile justice in the style of the Batman supervillain known as “Two Face.” Each side portrays a different approach to juvenile justice, one where kids are sent to prison where there is injustice and waste, and one where kids get the help they need and are able to learn to be more accountable.